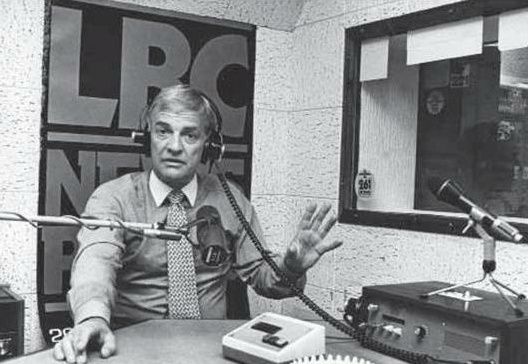 Ron Onions OBE before the microphone during LBC’s heyday in Gough Square, behind London’s Fleet Street. Copyright estate of Ron Onions. An impressive and significant generation of editors in UK broadcast journalism who originated and pioneered key developments in the media industry during the 1970s and 1980s has been passing away- largely unnoticed.